Villa Blanc enjoys the tranquility of a relatively peaceful setting whilst being within walking distance of the beaches, restaurants and shops. Villa Blanc is a stunning Spanish home, with traditional curved walls, terracotta tiled roof and, as its name suggests, a brilliant facade. Picture perfect, an azure blue swimming pool topped with pretty, bordering tiles rest at the foot of the villa. The villa has been designed with all living areas on the upper level. A large open veranda houses a large sofa and outdoor, rattan dining set. At the side of the property there is an additional al fresco area with table and chairs and BBQ. Inside, there is a fully equipped kitchen, allowing the chef in the family the freedom to try their hand at some Spanish Paella. 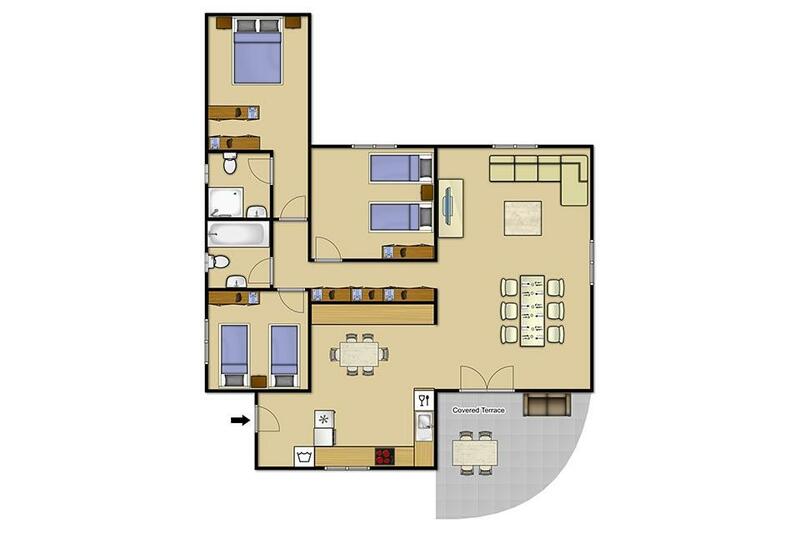 Of the three bedrooms, two are twin which is superb for larger families. 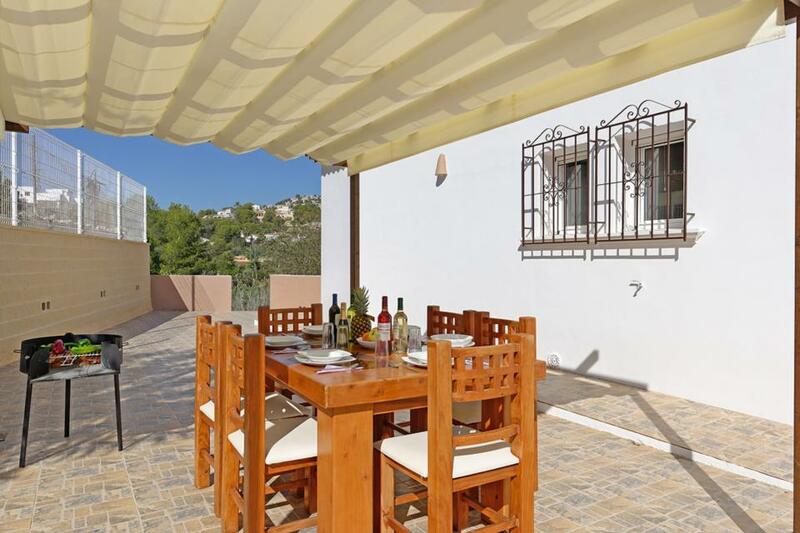 Situated in a peaceful residential setting, it’s only a five-minute stroll down to the nearby beach at Cala Baladrar on the outskirts of Moraira. Enjoy some fresh scallops by the sea and curl your toes in the sand. Popular hotspot Calpe is less than ten-minutes by car. With lots of lively beach bars and cafes, you can enjoy the bustle of the seafront or disappear into the old quarter and spot Roman ruins and ancient churches. 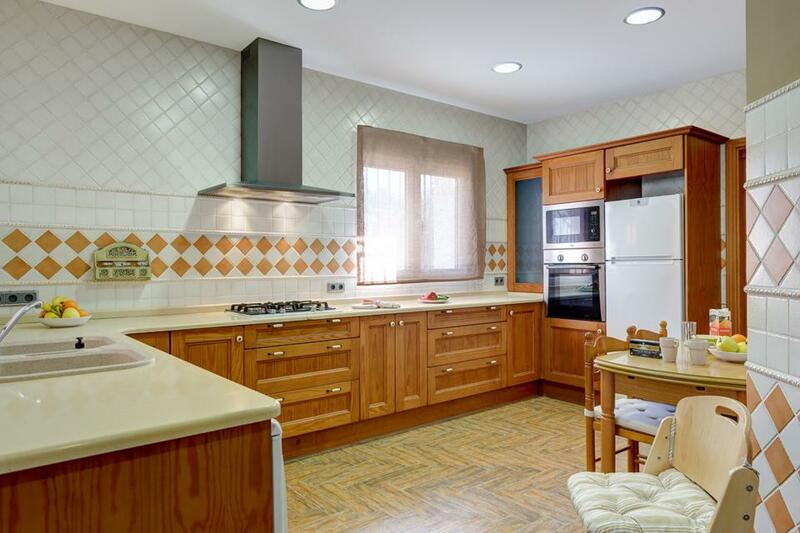 Beautiful villa with all the mod cons and spotlessly clean in a peaceful location - what more could we have wanted! 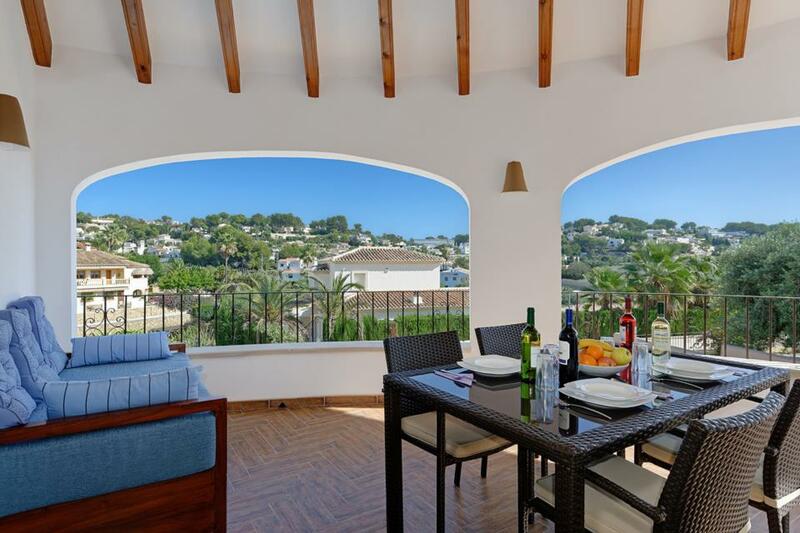 Moraira is a stunning resort with breathtaking scenery. Its a hidden gem! 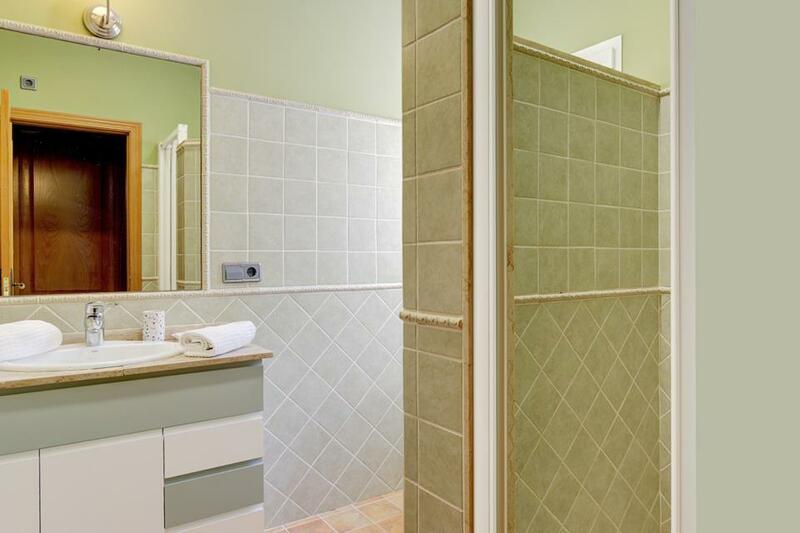 Good location, good standard, high quality house. we have stayed in Moraria a few times and like the place anyway. The villa was nice and big with everything we needed. 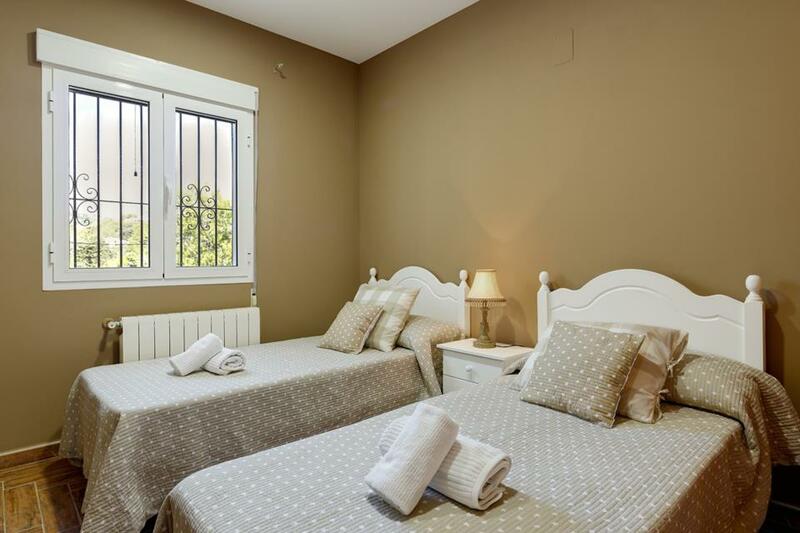 The villa is a great location, clean, quiet and comfortable. Lovely sea view from terrace Balcony. Well equipped villa. 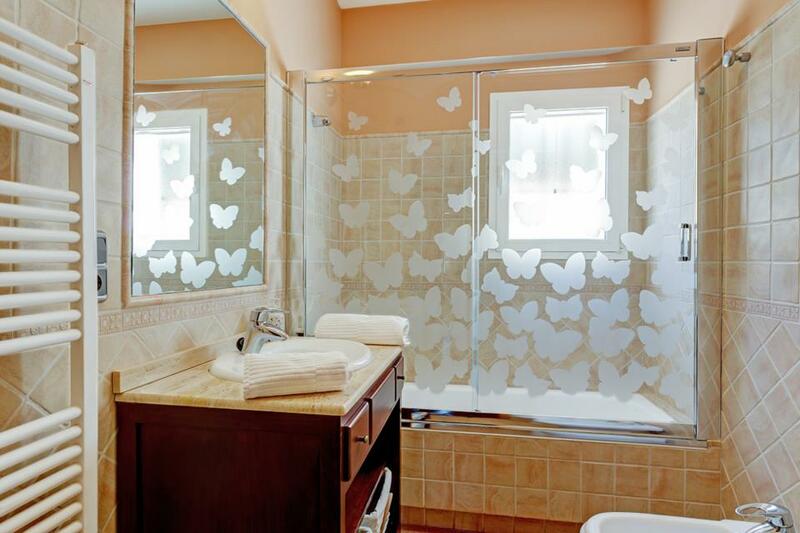 Clean. If you are relatively fit Moraira is not too far to walk. Baladrar Beach has a lovely restaurant and is only 5 mins walk. Lovely large swimming pool. Fabulous holiday. Our 4 villa with Solmar not been disappointed yet. The hot water boiler stopped working one evening we reported it straight away and it was replaced really quickly the next day, with no disruption to our holiday. Brilliant response. Lovely villa. If fairly fit enjoyable walk in the evening to Moraira. Baladra Beach Restaurant is lovely. Sea view from balcony eating area. Lovely villa. Sea view from balcony. Baladra Beach restaurant is lovely for drinks and food. Short drive or pleasant walk in the evening if ressonable fit. Lovely holiday. 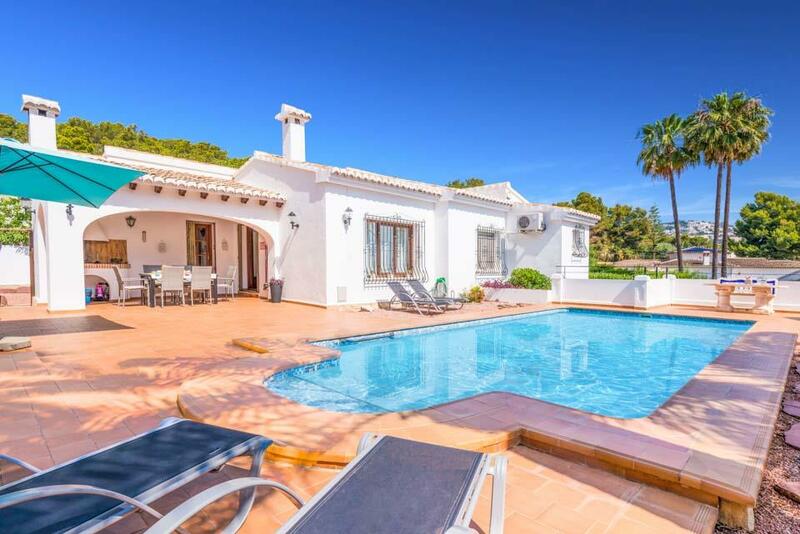 The villa was lovely and clean and the pool area was great with plenty of sun loungers. We also loved the Naya for eating. We had expected air con in each bedroom so were disappointed that it was only in the main bedroom and this stopped us from rating as excellent. We arrived quite late at night so would have loved a bottle of water and a few other basics like bin liners and soap. Plenty of room, all amenities, Wi-Fi connection and short walk to local beach. Quiet location. VILLA WAS IN A NICE AREA COULD HAVE DONE WITH UK TV BUT OTHER THAN THAT IT WAS GOOD. The villa was in a great position. It was spotlessly clean, very well equipped, spacious and the pool was lovely. Rated: Excellent. 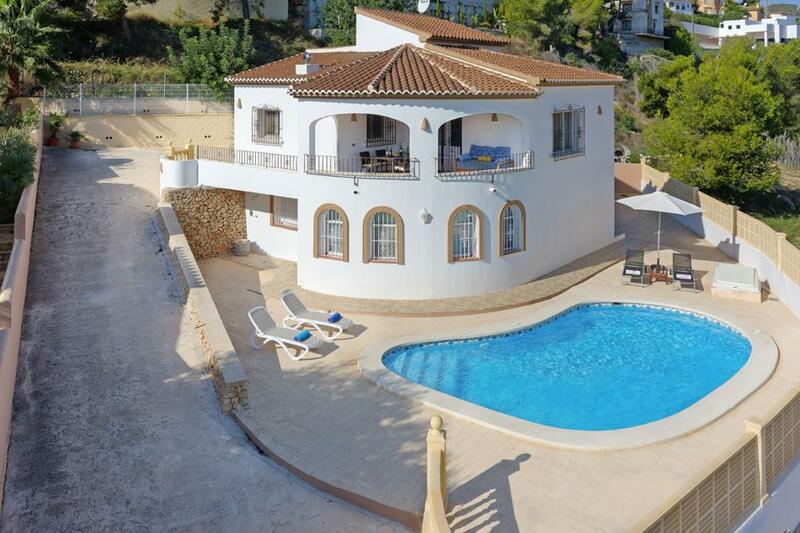 The villa was in a great position (although it was not in Moraira as stated, it was in Baladra which is about 15 min drive away). 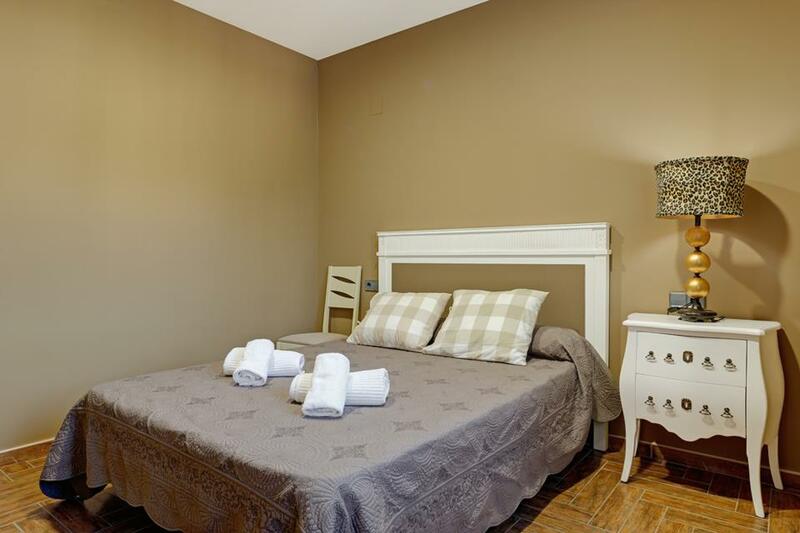 It was spotlessly clean, very well equipped, spacious and the pool was lovely. 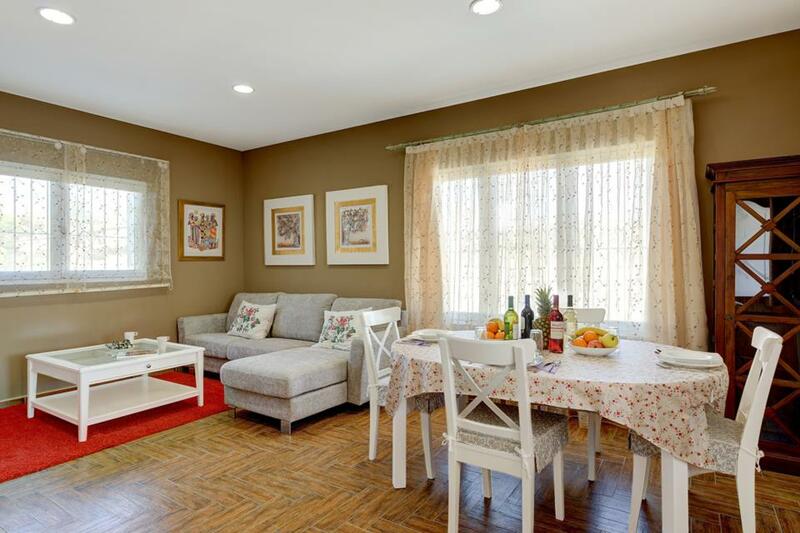 Good - Well furnished and decorated, comfortable, kitchen well equipped. Excellent location, easy walk to beach and cliff walks. Rated: Excellent. 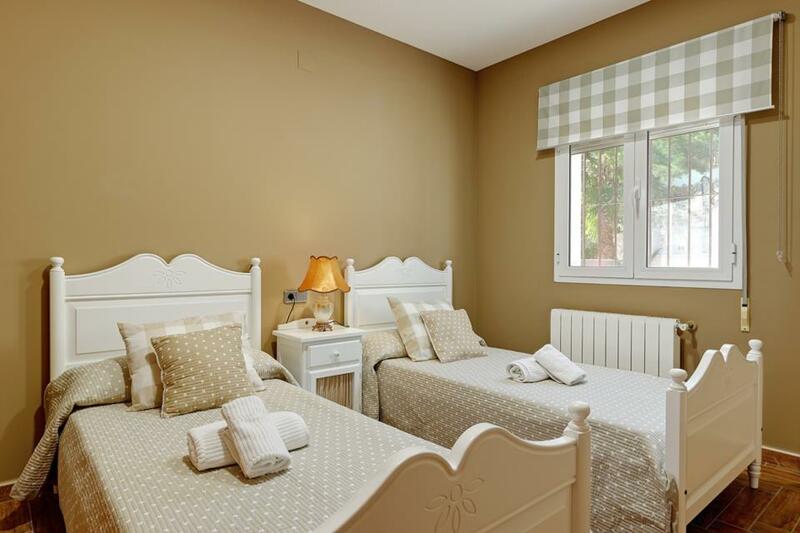 The villa is very well equipped with good quality and tasteful furniture and has been newly decorated for 2015. 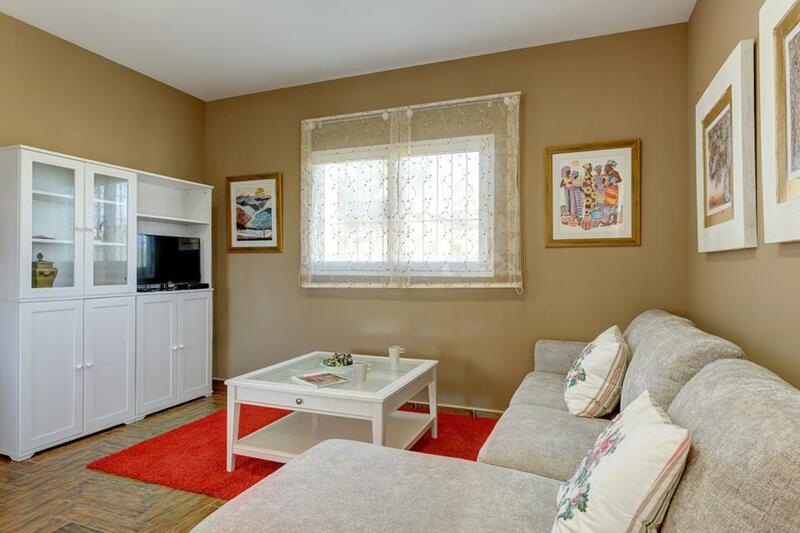 Lovely position within easy walking distance to small beaches (uphill on the way back) which have extremely nice cliff walks between them, there is even an outside gym on one part of the walk. Some restaurants and the large supermarket Pepe la Sal (slightly more expensive than other supermarkets) are also within walking distance. Nice pool with comfortable pool loungers. Larger sandy beaches are within a short drive at Moraira and Calpe, there are many free parking spaces at both of these. **Save up to 25% by arriving and departing on the standard changeover day**Villa Aire is a fabulous three bedroom villa located positioned in a peaceful residential location, it’s only ten-minute stroll down to the nearby beach at Cala L’Andrago on the..
Villa Alma is a delightfully positioned Villa, positioned in a slightly elevated position on the outskirts of the ever popular beach resort of Moraira. 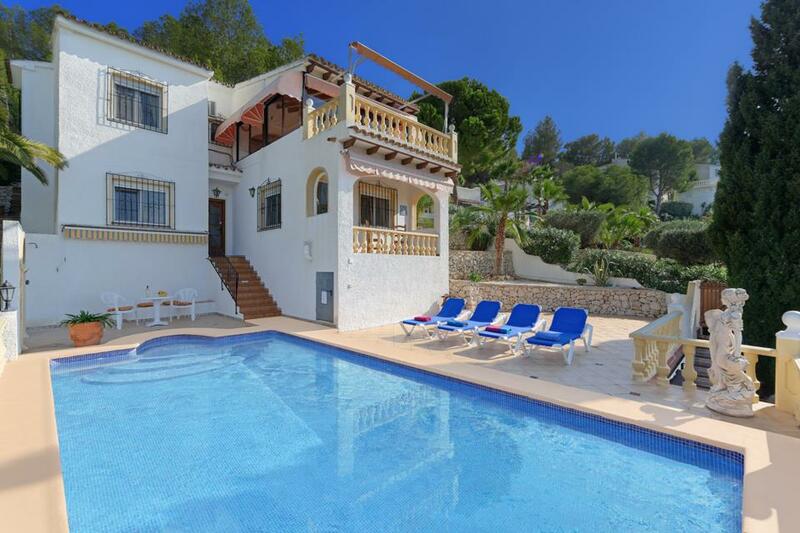 The family friendly resort of Moraira has long been a favourite destination of our clients, and it..
Villa Bacallar is a delightful villa situated within easy walking distance of the beach, shops and restaurants on the gorgeous Benissa coastline on the outskirts of Moraira. 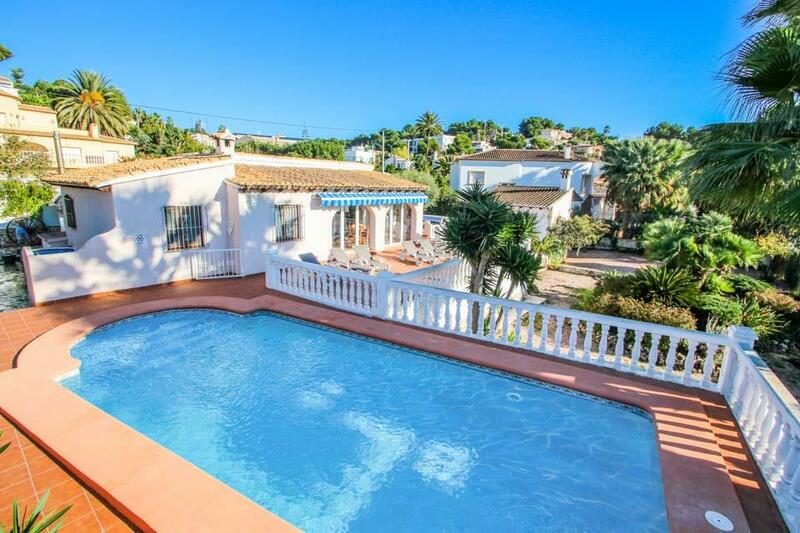 The villa is built on one level, but there are a couple of steps up from the..